Lucky Leaf has supplied the pie filling for this post, however no other compensation was involved. As always, all opinions are my own. Don’t you just hate that? Ugh! Having family stay with you during the holidays is supposed to be fun and relaxed and HAPPY! You’re not supposed to be stressed out making breakfast for a small army. AND, you’re not supposed to go broke doing it either. 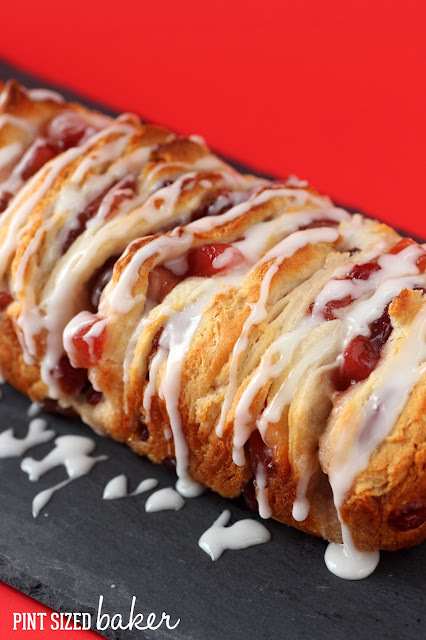 Enter the Pull Apart Loaf. A cousin to Monkey Bread. 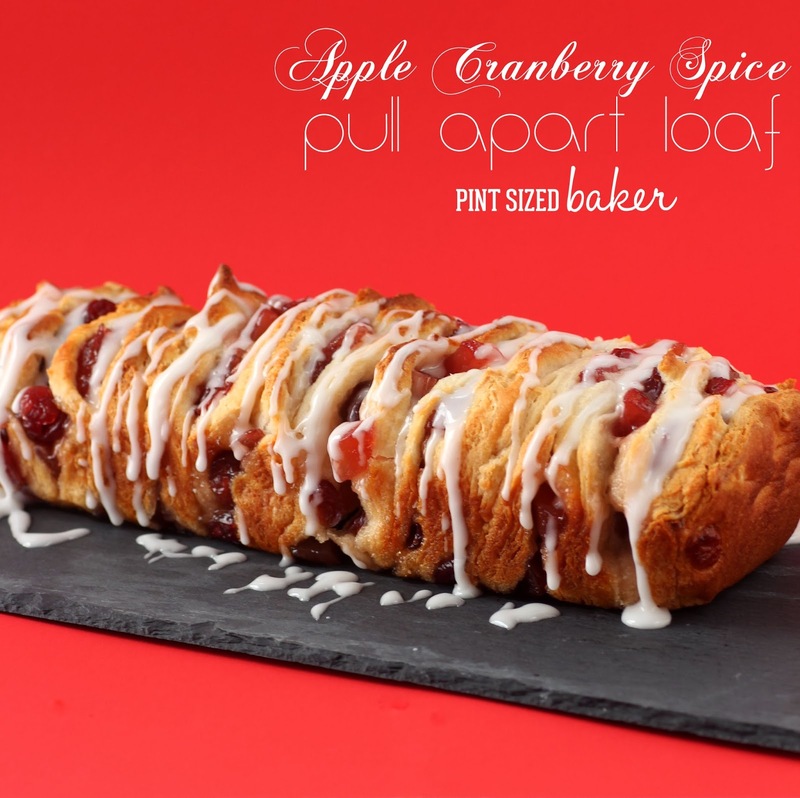 I made this amazing pull apart loaf using the Lucky Leaf seasonal flavor, Apple Cranberry. Wow! Was it good! I really loved the pops of the red color in the loaf – it’s perfect for the Holiday’s. Also, the spice flavor was so good! There was the perfect blend of apples, cinnamon and cranberry. 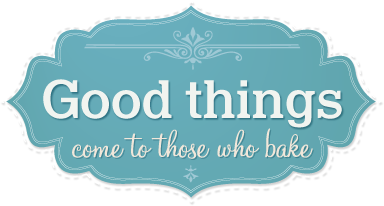 Do you enjoy creating new recipes? Lucky Leaf wants to you to create something NEW with their pie filling for a chance to win $2,500!! 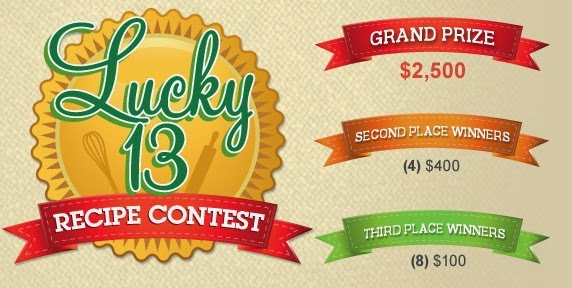 Head on over to Lucky Leaf to enter your recipe! There will be 13 lucky winners! Please submit your recipe between November 6th and December 2nd and Good Luck! Preheat oven to 350 deg F. and line your bread pan with easy release foil. 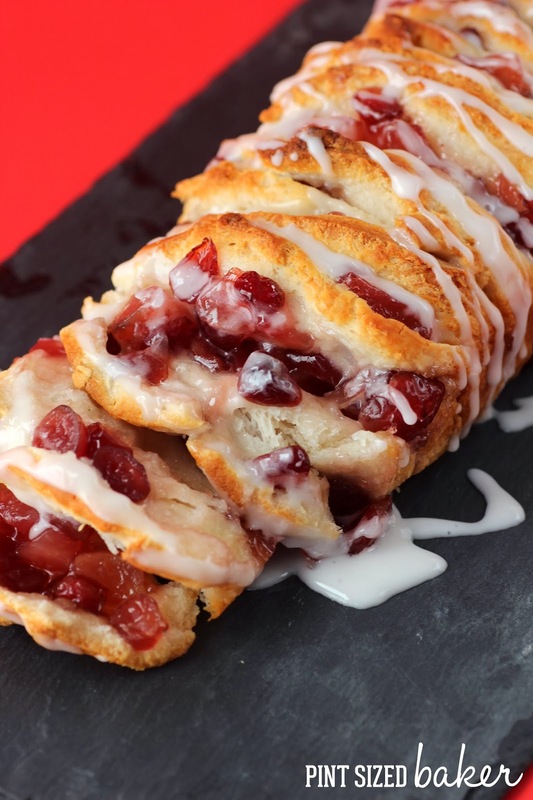 Using a bread loaf pan, stand it up to allow for stacking. Open your container of biscuits and divide each one into two or three sections. I liked a lot of flakey layers. Start layering the biscuits then a spoonful of the pie filling. Continue layering until all the biscuits are used up. Bake for 30 minutes making sure that the center is cooked all the way through. Cool in the pan for an hour. Stir all the ingredients in a bowl. Add more sugar to make it thicker, more milk to make it thinner. Remove the loaf from the pan and drizzle it with the sugar glaze. Serve it warm and watch everyone enjoy it!